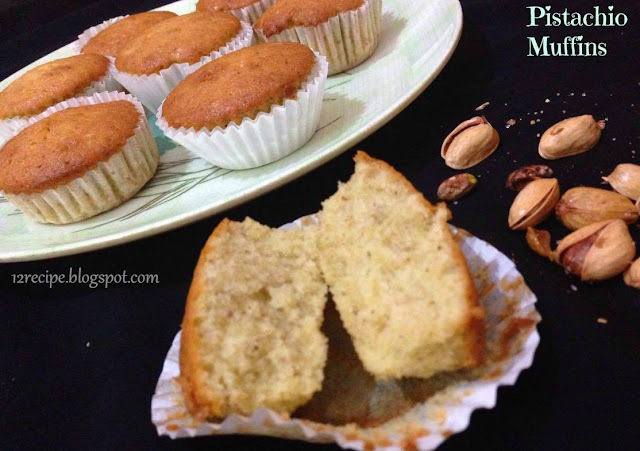 Everyone will love moist cup cakes. 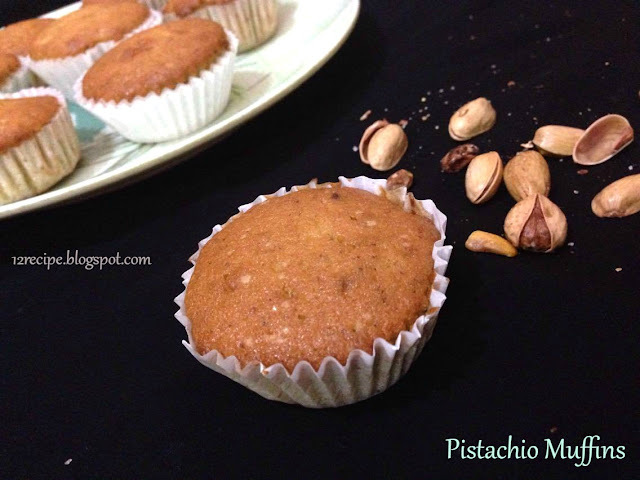 Here is a simply delicious pistachio flavored easy muffin recipe. In a bowl beat butter and powdered sugar until creamy. Add one egg; beat for 30 seconds and add another egg; again beat for another 30 seconds. Add vanilla essence pistachio powdered. Add flour and milk alternatively by three additions and end with the flour addition. Pour in to greased muffin tray or paper cups (fill up to 3/4 th level). Bake in a pre-heated oven at 180 degree for about 20-25 minutes or until top gets nice golden.